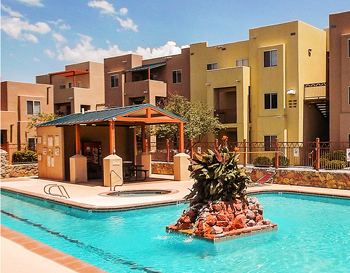 National Asset Services, one of the Nation’s leading commercial real estate companies, has successfully lead tenant-in-common owners of Casa Bandera Apartments, through an innovative consolidation of ownership in order to successfully secure a $13.1 million loan on behalf of their clients. 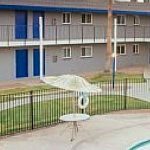 The consolidation strategy was executed in a matter of weeks for the co-owners of the 232-unit student housing property built in 2002, near the New Mexico State University campus. The loan allowed the ownership to meet an impending loan maturity and remain as investors in the property. Executives of National Asset Services (NAS), began working with the tenant-in-common co-owners in October 2014, less than 90 days ahead of a loan maturity date in January, 2015. NAS company representatives proposed an effective strategy that allowed the co-owners to meet the loan maturity, while still allowing them to remain in their investment. Casa Bandera Apartments is the 22nd property in which NAS has delivered a positive outcome by restructuring ownership while sourcing and vetting finance options. Because financial institutions are reluctant to offer financing for properties with tenant-in-common ownership structures, the NAS team acted quickly ahead of the maturity deadline in order to execute a proven process of consolidating the disparate owners, each with a legal deed to the property into one legal ownership entity. This ownership restructuring fulfilled requirements necessary to qualify for financing and the newly created entity was then able to take advantage of the most favorable financing option. This strategy allowed the investors to remain in the property investment while making property upgrades that will most likely produce a greater return on investment in the future. NAS has been retained as both the Asset Manager and Property Manager for Casa Bandera Apartments, which marks the 22nd property in which NAS has delivered a positive outcome by restructuring ownership while sourcing and vetting finance options. NAS worked with Keystone Mortgage, located in Orange County, California to vet the financing options and ultimately secured a loan that closed on January 15, 2015.